I go through a LOT of flour… like a LOT (butter, sugar, eggs, all of it). ANYWAY I also use a lot of cake flour, which can get pricey! SO I like to make my own! 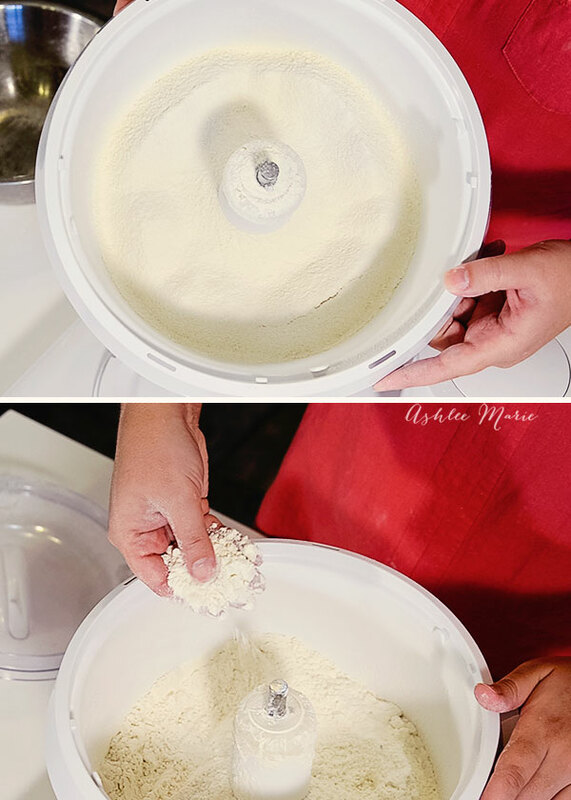 It’s super simple, you just need flour, corn starch and some way to sift it! The “recipe” for cake flour – take 1 C of all purpose flour, take AWAY 2 Tbsp and replace it with 2 Tbsp of corn starch. OR 14 Tbsp flour to 2 Tbsp corn starch… Which ever way helps you remember. It get’s really fun when your making it for a specific amt, like 2 1/2 C cake flour… then figuring it out can be really fun (the answer is 5 Tbsp corn starch to 2 C + 3 Tbsp all purpose flour). So sometimes it’s easier to make a large batch. Usually I just sit down and do the math and make it for each recipe. SOOO you can see the AMAZINGNESS that is my Bosch Sifter (yet another attachment in my “I heart my bosch” series! It’s seriously amazing. I love that I can just throw my dry ingredients in, walk away and work on something else and come back and it’s done, no more squeezing those old fashion sifters that kill your arm after a few seconds! ANYWAY you can use any type of sifter or even a mesh strainer to sift, you’ll have to sift more times with a fine mesh strainer than you would with something else. As long as the ratio of Flour to Corn starch are correct you’ll be just fine! SOOOO do you have a recipe that uses cake flour? Now quite a few of my cakes are dense, you KNOW I love my dense desserts, but SOME just scream for a lighter touch so cake flour to the rescue! Let me know what you think! I didn’t know that! I always have all purpose flour but not cake flour. Thank you! Corn starch! 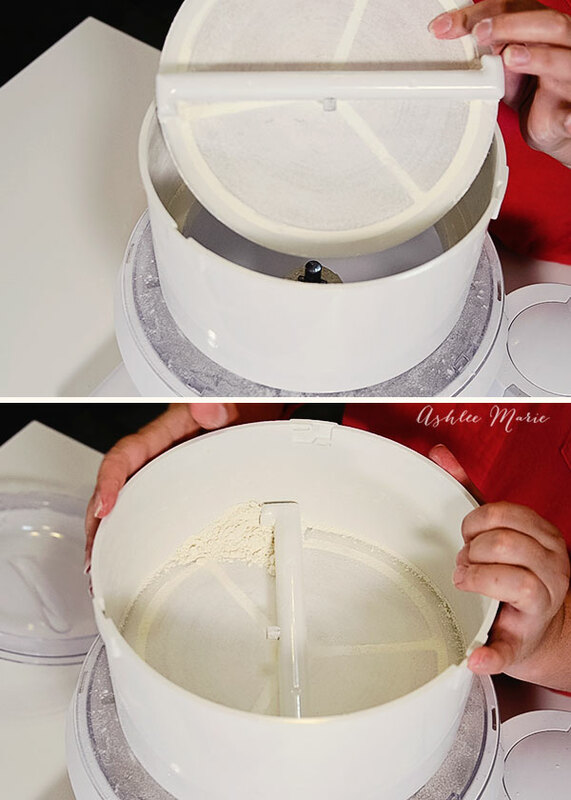 I had no idea the difference between all-purpose and cake flour 1. because I never really looked and 2. because I’m always looking at my budget. Thank you for this. I’m going to try it because, as you know, the heavy baking season is upon us. yup! so excited for baking season! Thank you very much for this tip. I’m going to try this. cake flour is made with all purpose flour, not wheat flour. I don’t know of any way to make wheat flour work for cake flour because you need to bring the protein down for cake flour, and wheat flour is VERY high in protein and you couldn’t add enough corn starch to bring the protein down and still have be enough flour to work.